Get new pets in Minecraft, raises levels and make them learn new skills. Useful Pets 1.7.10 s a mod that modify handles: add new parameters in some animals of Minecraft, to offer functionality to convert certain animals in pets, and also add a level system that will allow us to evolve our pets and achieve learn new skills. To convert animals to pets, the first thing we do is throw a potion of weakness, then we will take the wand adds the mod and we do left click on our future pet. Once become pet, you can access inventory and skills system by pressing Shift + right click on the animal. This new interface will find the “Skills” button and will show a tree of unlockable skills through experience levels of the pet itself. 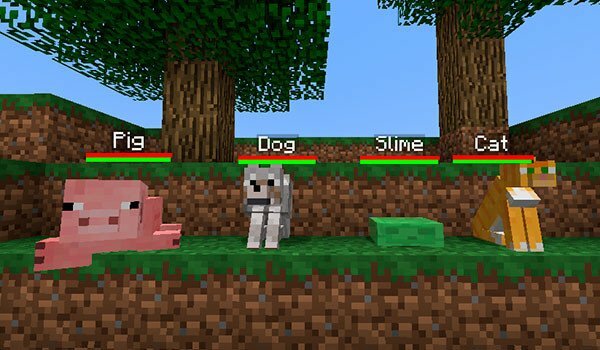 Can convert animals in pet: pigs, slimes, ocelots, wolves and silverfish. How to install Useful Pets Mod for Minecraft 1.7.10?